Unfortunately, one of the most effective defenses against phishing attacks has suddenly become a lot less dependable. This means that you and your users must be ready to catch these attempts instead. Here, we’ll review a few new attacks that can be included in a phishing attempt, and how you and your users can better identify them for yourselves. How Has Two-Factor Authentication (2FA) Been Defeated? There are a few different methods that have been leveraged to bypass the security benefits that 2FA is supposed to provide. 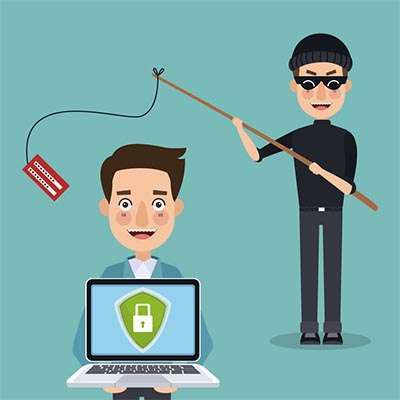 On a very basic level, some phishing attacks have been successful in convincing the user to hand over their credentials and the 2FA code that is generated when a login attempt is made. According to Amnesty International, one group of hackers has been sending out phishing emails that link the recipient to a convincing, yet fake, page to reset their Google password. In some cases, fake emails like this can look very convincing, which makes this scheme that much more effective. As Amnesty International investigated these attacks, they discovered that the attacks were also leveraging automation to automatically launch Chrome and submit whatever the user entered on their end. This means that the 30-second time limit on 2FA credentials was of no concern. In November 2018, an application on a third-party app store disguised as an Android battery utility tool was discovered to actually be a means of stealing funds from a user’s PayPal account. To do so, this application would alter the device’s Accessibility settings to enable the accessibility overlay feature. Once this was in place, the user’s clicks could be mimicked, allowing an attacker to send funds to their own PayPal account. Another means of attack was actually shared publicly by Piotr Duszyński, a Polish security researcher. His method, named Modlishka, creates a reverse proxy that intercepts and records credentials as the user attempts to input them into the impersonated website. Modlishka then sends the credentials to the real website, concealing its theft of the user’s credentials. Worse, if the person leveraging Modlishka is present, they can steal 2FA credentials and quickly leverage them for themselves. First and foremost, while it isn’t an impenetrable method, you don’t want to pass up on 2FA completely, although some methods of 2FA are becoming much more preferable than others. At the moment, the safest form of 2FA is to utilize hardware tokens with U2F protocol. Even more importantly, you need your entire team to be able to identify the signs of a phishing attempt. While attacks like these can make it more challenging, a little bit of diligence can assist greatly in preventing them. When all is said and done, 2FA fishing is just like regular phishing… there’s just the extra step of replicating the need for a second authentication factor. Therefore, a few general best practices for avoiding any misleading and malicious website should do. First of all, you need to double-check and make sure you’re actually on the website you wanted to visit. For instance, if you’re trying to access your Google account, the login url won’t be www - logintogoogle - dot com. Website spoofing is a very real way that (as evidenced above) attackers will try to fool users into handing over credentials. There are many other signs that a website, or an email, may be an attempt to phish you. Google has actually put together a very educational online activity on one of the many websites owned by Alphabet, Inc. Put your phishing identification skills to the test by visiting https://phishingquiz.withgoogle.com/, and encourage the rest of your staff to do the same! For more best practices, security alerts, and tips, make sure you subscribe to our blog, and if you have any other questions, feel free to reach out to our team by calling (704) 943-4344.